This bed is roughly a crescent shape 8m x 4m (at its widest part). The intention is that there will be no automatic irrigation to this bed. 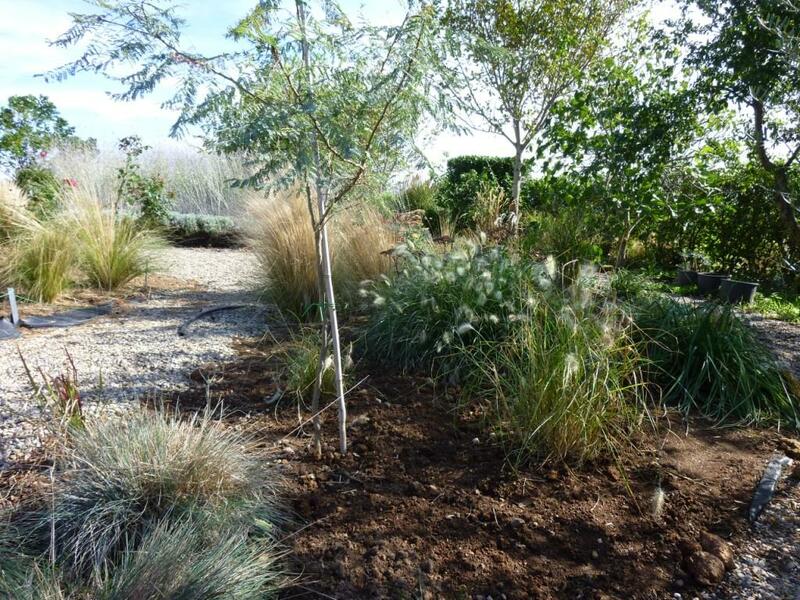 Plants chosen will tolerate draught or better will prefer low levels of summer water. The bed was marked out in January 2009 and planting began that autumn. 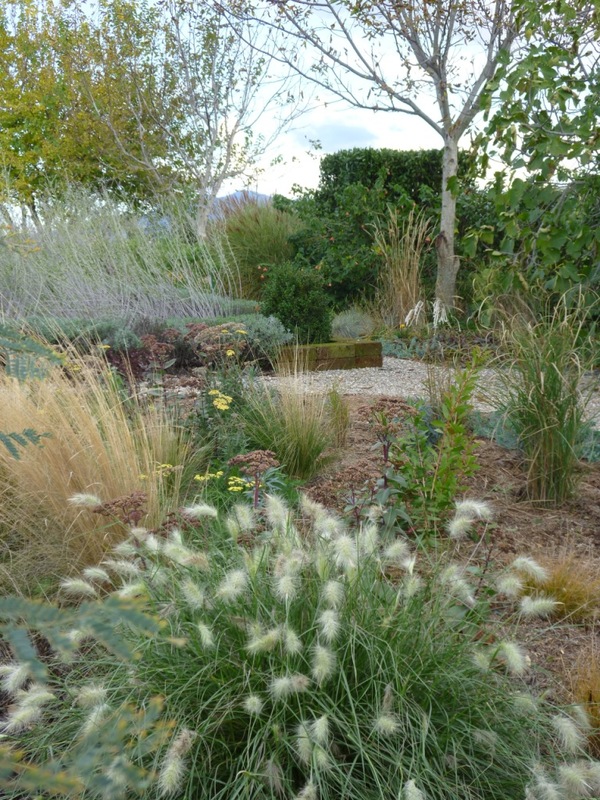 My initial thought was to have this bed with only grasses but as there are grasses in every bed I decided to include some other plants though most do have linear leaves. At present there are 2 Miscanthus that I will move in spring – they survive with little water but don’t perform at their best so I’ll move them to where they will be irrigated once a week. Miscanthus planted in other positions that were irrigated once a week performed very well.